Submitted by William M. Cowan, Jr. 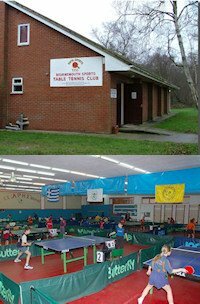 The Newtown Table Tennis Club is located in Newtown, Pennsylvania, USA. It has been in existence since 1978, and has been based at the Newtown Elementary School Cafetorium since 1994. Play is at the Newtown Elementary School, 1 Wrights Road, Newtown, PA. The club is open during the school year (Sept-May) usually on Monday and Thursday evenings. Cost for play is $4.00 per evening (6:30pm-10:00pm). Newtown Table Tennis Club has seven Butterfly Space Saver tables with Butterfly Europa nets. Conditions are excellent: great lighting, high ceilings and good spacing. The club has approximately seventy active members, however on a typical night the attendance is 20 persons. Play is informal. The club has a variety of players from intermediate to expert and competition is friendly. 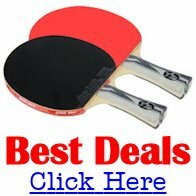 The website can address most questions, including directions and schedule, however if you wish to contact the club, please email William M. Cowan, Jr., Club President at [email protected] Please put "Newtown Table Tennis Club" in the subject line. We welcome visitors, however if you are going to be bringing more than 4 guests, an email notifying the Club President would be appreciated.